A swimming pool is a great recreational facility for both residential and commercial establishments. It is an ideal place to plunge into for a good relief from the hassles and bustles of a long day’s work. In order to have a good swimming pool that can guarantee the best aquatic recreation, you need a professional in swimming pool construction Singapore. We are the experts that you can always rely on to construct an ideal swimming pool. We have more than 30 years’ experience in construction of swimming pools and perfectly understand what it takes to develop a safe, eco-friendly and efficient pool. Our professionals are well trained and possess adequate skills in the construction of different kinds of swimming pools. In fact, it is only with us that you can always be sure of the right swimming pool. What even makes us unique is that we also stock a wide range of swimming pool equipment and parts to use in construction, so you always get an all-inclusive service. Just as the name suggests, this type of swimming pool requires digging since it is immersed in the ground. With our expertise, we can still create a custom-made one that perfectly suits the design that you are interested in. We can assist you in coming up with an ideal design that will properly fit into the available space and your personal preferences. Since we are an accredited pool builder, we will also assist in fast and easy acquisition of a permit for the project from the relevant authorities. Vinyl: This type is designed from vinyl that is inserted into an excavated hole. Compared to other kinds, it is considered the most affordable option. Although you will be required to replace the vinyl after some time, there is no reason to worry since we also do swimming pool maintenance and repairs. Fiberglass: These types are made from fiberglass, which is then placed in a dug-out space. In case you need one, we shall mold the best that suits your needs and install in the required space. The benefit of a fiberglass swimming pool is that it is more flexible. Concrete: These require excavation and construction work using concrete. However, they are ideal because they allow for more customization, which ensures that you have the best pool that perfectly meets your needs and lifestyle. After the installation process, we do proper finishing using tiles, paints among other materials that you may require. With our experience, we can help you in choosing the right design that will properly suit your home or commercial establishment. Rigid-sided: These are constructed with a wall and vinyl liner in different designs that you can select from. We can construct the walls using aluminum, steel, wood, resin among other materials based on your preferences. Soft-sided: In building soft-sided above ground swimming pools, we use a liner in the actual structure and then finish up with proper detailing and support. Contrary to what some people usually think, above ground swimming pools are quite striking because of their unique designs. Even if you may need enhancements, we can do proper lighting and other improvements in and around the pool to give it a more elegant and welcoming look. Besides, we design above ground pools in various shapes and sizes that you can also choose from. 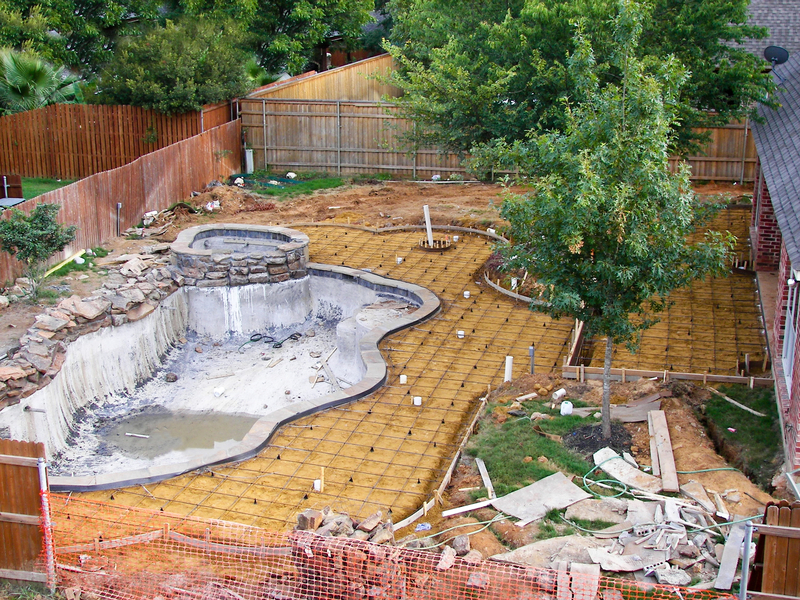 Considering that above ground swimming pools are placed on the ground, we always make sure that each is constructed with proper reinforcement for stability and longevity. Our professionals understand all the risks and will ensure that you have the safest and most durable above ground pool. We are a well-established swimming pool construction company that is well equipped with our own equipment, parts, accessories, tools and technicians to conduct projects to fruition without any inconvenience. With us, you always have all your demands met in one-fold because we have all the requirements at hand. As a result, you will be able to save quite a lot of time and also finances. We operate round-the-clock to ensure that you always get reliable assistance at all times. Whenever you contact us for swimming pool construction, we can also help in coordinating with the government regulation agency; National Environment Agency in Singapore so you get a license for the project. In fact, we can coordinate the licensing process on behalf of customers so you are not bothered with such activities at all. For FAQ on the process of license application, simply check out this link. Constructing a swimming pool in the home or commercial property is an ideal option for water fun and recreational activities. In fact, owning one or even a couple of swimming pools is quite easy and simple. We can help you in creating proper swimming pool plans, designs and also estimates for the whole project. Talk to us today for the best swimming pool construction Singapore, which truly fits your needs, space, preferences and budget.